So so very much packed into just the last few months. Here are some of the latest creations for this lovely Friday afternoon and some of the places I’ve explored to bring me more and more and more inspiration. My spirit? Lifted. 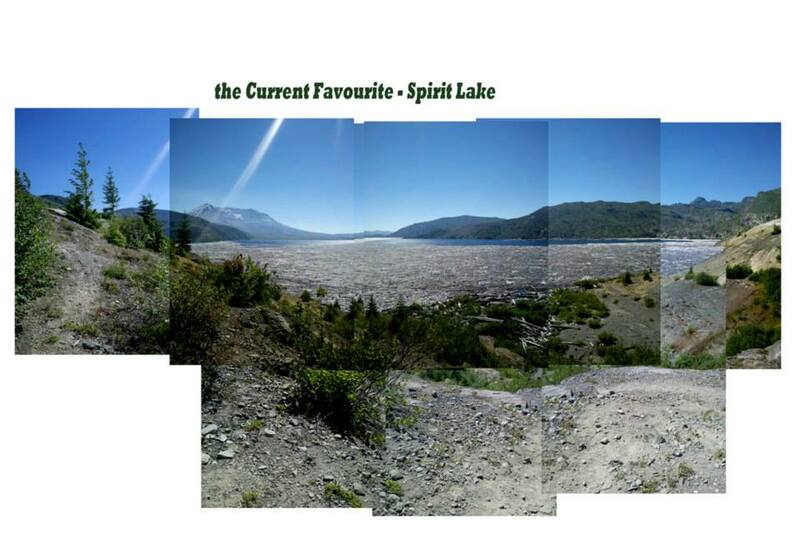 Spirit Lake – a lake raised up and devastated by the St. Helens eruption in 1980. It lives again, but with a floating scar of what was. My favorite spot I have witnessed since moving to the fair Northwest. 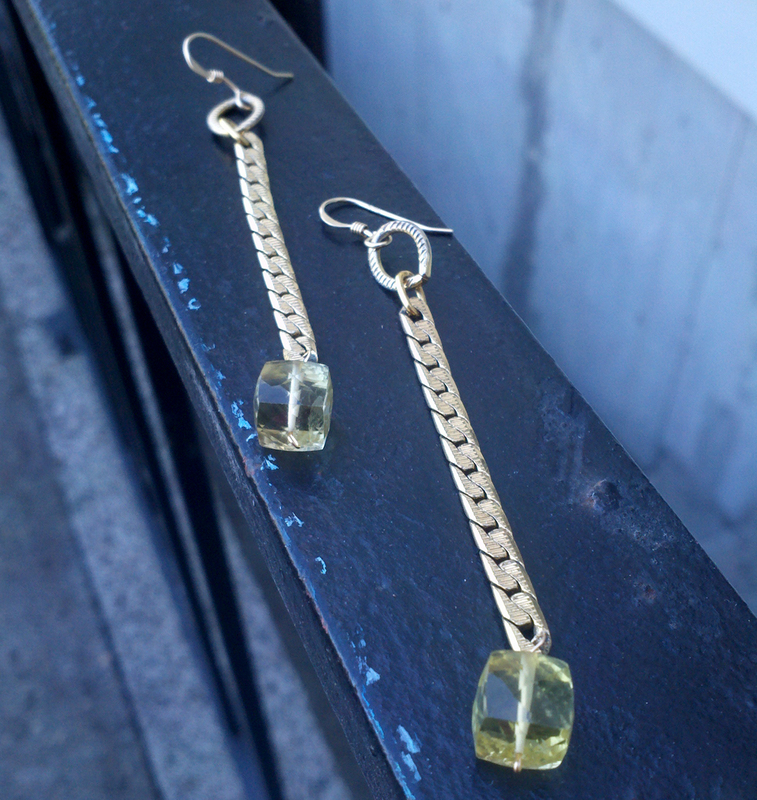 Lemon Quartz faceted cube earrings – truly unique with gold filled chain. Lemon Quartz is the stone of optimism, well being and creativity. Dolly Washington aka The Love Child. 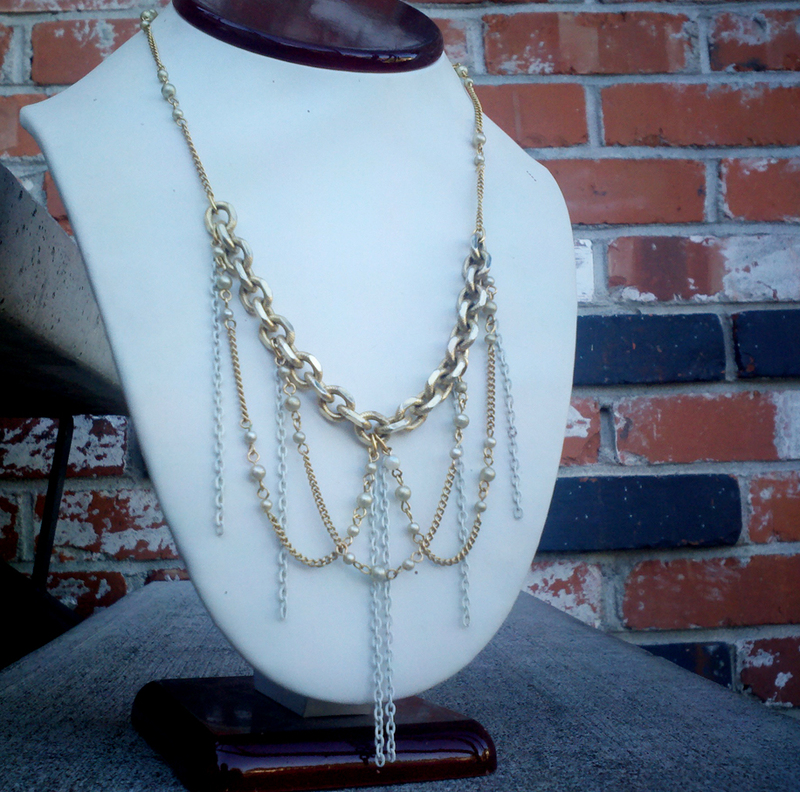 – vintage gold plated pearl chain and white enamel chain draping necklace. 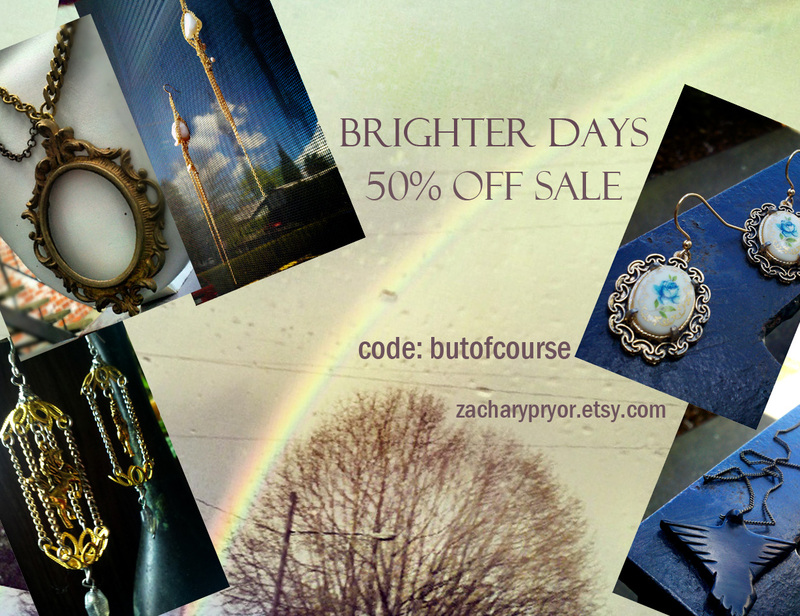 Available on sale on the ZP Etsy Site. 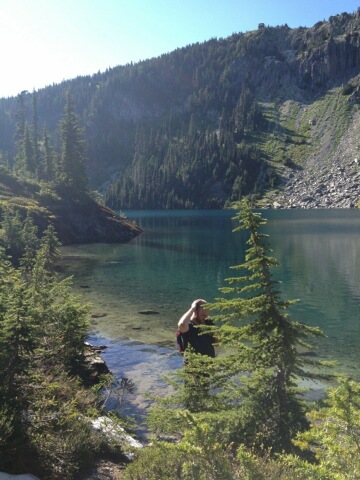 That would be me wading in the hypothermia inducing waters of Eunice Lake under Tolmie pass in the Mt. 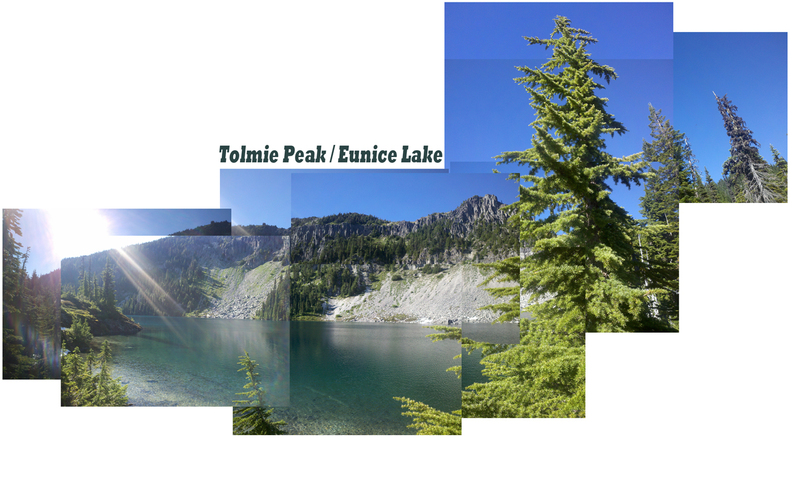 Rainier wilderness. I had the good fortune of exploring the area with one of my closest, longest standing friends, Allyson. We had the bad fortune of flat tires, sub par Thai food afterwards and bug bites from Hell. But the memory lives on as golden. 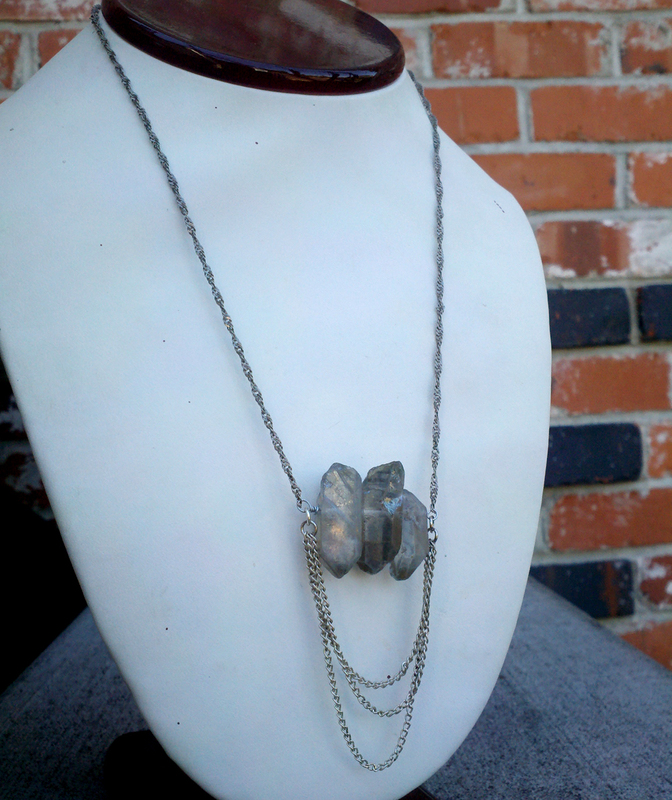 Sky, Blue and Black – gray titanium coated quartz triple shard necklace with rustic silver plated chain. Available RIGHT NOW on Etsy. 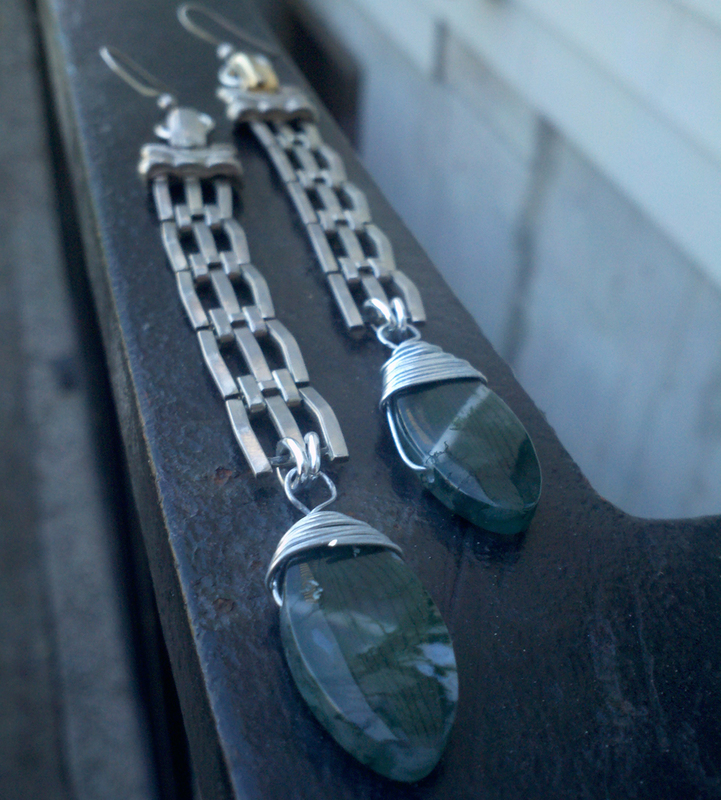 A ‘Fresh Start’ crazy cool silver plated art deco chain earrings with moss quartz. Moss Agate is a stone of new beginnings. Refreshes the soul and enables you to see beauty in all you behold. Moss Agate reduces sensitivity to weather and environmental pollutants. It attracts abundance in wealth and improves self-esteem. Develops strength and the ability to get along with others. Inspires new ideals after periods of stagnation. Moss Agate promotes self-expression and communication. Balances the emotions, releasing fear and stress. Encourages trust and hope. It eliminates depression caused by brain imbalances. Pictured in the collage above is me and my best friend, Romina (at center) “Strength and understanding” (bottom left) “sweetness and light” SOLD (top left) “The Trickster” (bottom right) and “Wonder in the Sky” (top right) Click on any of the names to take you directly to the item. 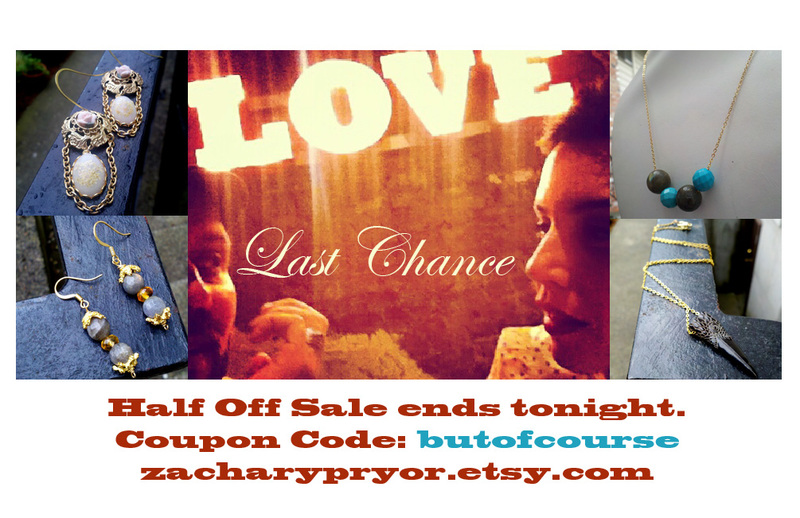 Simply enter that code when checking out on Etsy and you’ll get your half off discount.